Merry Christmas, I bring tidings of homebrew goodness. I have just released a homebrew package for the WDTV Live streaming media player. The one commonly referred to as ‘gen3′. WDLXTV-Palace, as it will be called, utilizes a hole that allows booting of arbitrary firmware. Perhaps one of the nicer things is there’s no flashing involved! Hi guys, I just thought I’d add a little post here stating that while I have not added a post here in a year activity on WDLXTV has never ceased. I’ve gotten a handful of mails lately wondering if WDLXTV is dead, because they haven’t been able to find our new home. Development could not be farther from dead, as you can notice if you read the subversion logs. I said that I would be moving all operations to WDLXTV.com, and I did. Although the real activity goes down in the forum. It is highly suggested for you to register here and then log into the forum. There you’ll find all information on current fimrware releases and an abundance of information on all aspects of WDLXTV. In addition to the forum, I’ve also set up a WiKi that has a pretty decent amount of homebrew specific material in it. It also seems that sometime in the last long while wordpress has decided to stop sending me comment notifications, so I have a nice healthy mod queue of 800 comments…which I’ll try and bust through eventually. Come one, come all to forum.wdlxtv.com for some serious homebrew action!! On another note, anyone who has ever made a donation (greater than $5) gets special access on the forum and the ability to receive online updates (greater than $10 donation). If you’ve made a donation in the past just shoot me a private message on the forum with your exact paypal email address, full name, & date of donation and I’ll get you sorted asap! Please do not email me. It’s been many weeks in the working, and there has been overwhelming demand for it…and it’s finally here…Yes, I’m talking about wdlxtv-plus for the wdtv live plus! There were many small kinks to overcome and minutiae to deal with, but I feel pretty much everything is taken care of. The following video below is a sneak preview of wdlxtv-plus in action. 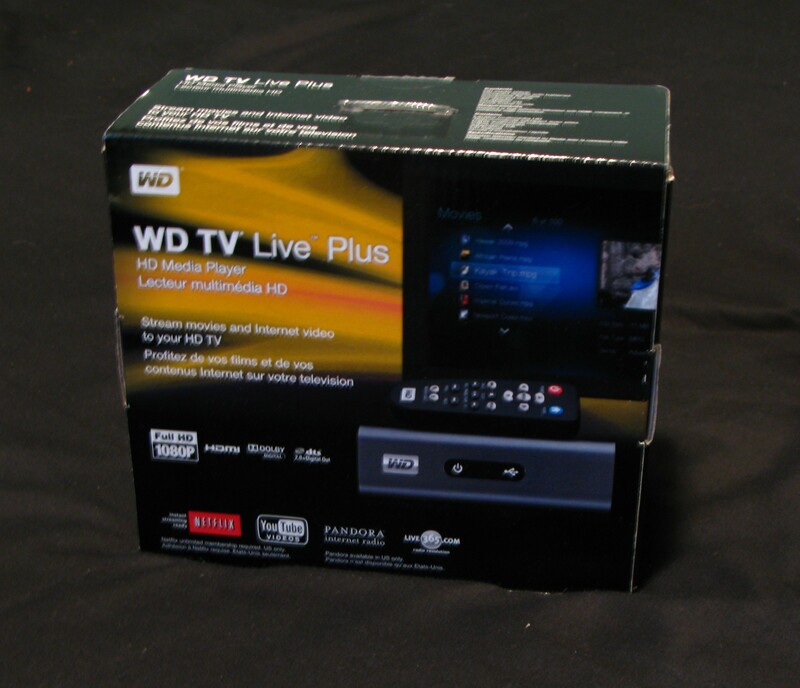 Something arrived for me today, a shiny new WDTV Live Plus. In the following article I’ll describe my thoughts on it and tear in a bit to see whats going on. 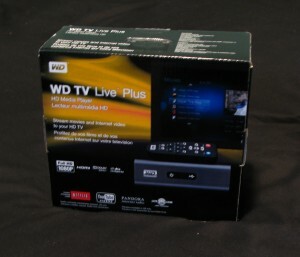 I’ll be looking for differences in base operation and hardware, comparing it to a WDTV Live (1?) along the way. I’m not going to repeat pictures that haven’t changed a bit compared to the original WDTV Live. The outer box is the only new thing here, the inner contents contain and look the exact same as the original. Here’s the outer box.